Since its inception and introduction into the market, WooCommerce has experienced impressive growth. It also has an amazing and dedicated community that has enthusiastically adopted the WooCommerce platform. We have always strongly felt that business owners should choose the most flexible solution to meet their needs. Combining the WooCommerce eCommerce plugin and WordPress provides the ideal mix of flexibility, wide range of features and low cost that is perfect for individuals who want to quickly get a solid business online. The following are our top 4 reasons for why we think WooCommerce is the best eCommerce platform for building a business. WordPress is by far the world’s most widely used content management system. It started out as just a basic open source blogging platform. 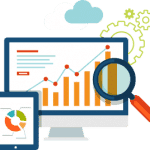 However, it has evolved into a very feature rich and powerful system that is widely accessible to new website owners. In addition to powering millions of different websites all over the world, thousands of premium theme developers and plugin developers have extended the software’s capabilities. These professionals have been able to create viable businesses of their own through providing the WordPress community with valuable services. WooCommerce is built on the WordPress platform, meaning that with just one piece of software you receive a blogging system and eCommerce software system full of systems all in one. Within 16 months of launching, WooCommerce achieved 500,000 downloads. There have also been a few updates to the original version of the plugin. 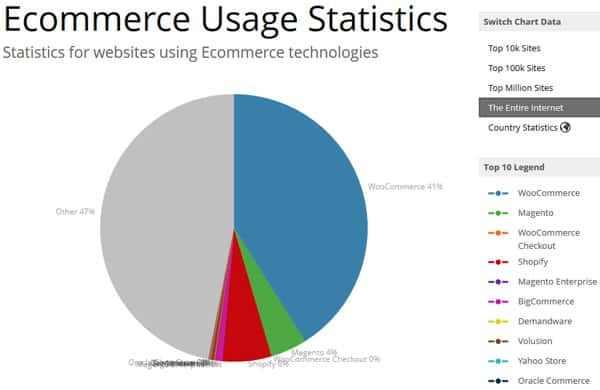 The above Builtwith stats show WooCommerce powers 42% of all online stores. As WooCommerce users, we have witnessed the rapid proliferation of theme designers who have decided to release website designs for the WooCommerce platform. You can see clear evidence by visiting the Themeforest Themes Marketplace and seeing the sheer amount of designs that can be purchased there. There are many more WooCommerce themes available there than for any other WordPress eCommerce plugin. However, the price of something goes beyond just what the software cost is. There is a very steep learning curve with many eCommerce systems and they can be very complicated to get installed and configured properly. The price that you pay in either has to pay a developer to get software installed and configured for you or the time that it takes to learn how to do it on your own could run several thousand dollars. When we use the WooCommerce plugin we are able to set up a shop, have had it operational and able to use Paypal to process transactions, in just 15 minutes. If you would like to expand your website’s core functionality then you can buy third party and WooCommerce plugins to expand its core functionality. Small business owners and freelancers have the ability to earn extra streams of revenue through either providing marketing and consulting services or through running their own eCommerce websites. The simplicity of WooCommerce makes it easy to teach, easy to use and easy to learn. There is a common misperception about WordPress eCommerce websites being fine for running a small business but that enterprise level software is needed for running a large website. In our opinion that is completely untrue. WooCommerce and WordPress the ability to scale very well with the strong optimisation and security, the proper configuration and enterprise level hosting. Several major eCommerce websites run by a large brand that use this combination to generate massive sales online. Large enterprises are able to gain an advantage through the use of WordPress by affordably and quickly getting a website live and starting to iterate the features right away instead of getting stuck in extended development phases and implementation cycles that characterize so many major enterprise software projects. 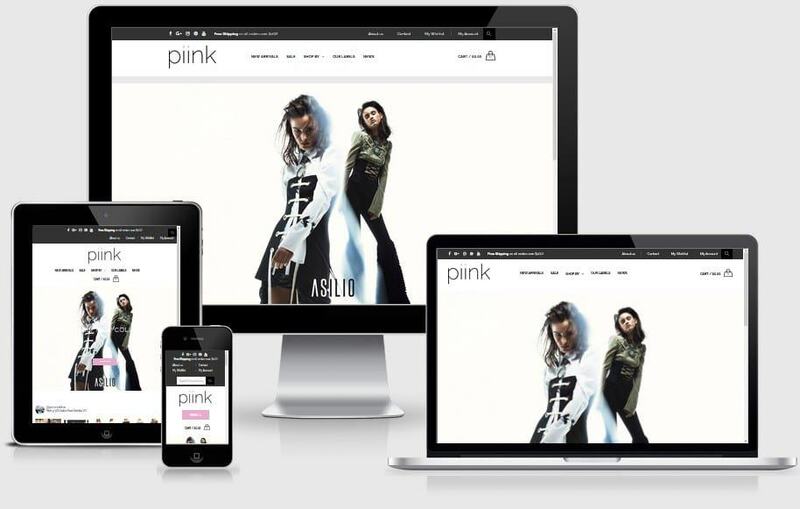 If you are interested in an e-commerce website of your own check out some of our online shopping websites or contact us for more information or a demonstration.